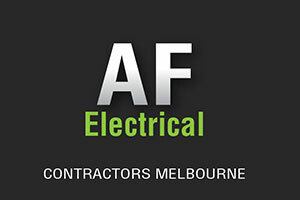 AF Electrical originated in 1983 as an electrical and maintenance company, since then it has grown to incorporate multiple specialised divisions that provide services to suit a diverse range of market requirements. Following on the success of AF Electrical a separate division introduced as SmokeShield Australia was formed in 2005 to specialise further in specific yet diverse market streams. SmokeShield Australia now proudly offers exclusive services and products to the electrical industry, security industry and fire industry. SmokeShield in conjunction with AF Electrical has over 28 years of proven experience, commitment to customer satisfaction and has provided a level of specialised equipment at competitive pricing which has in turn created an exponential growth in all AF electrical and SmokeShield divisions. The company started out from humble beginnings, with two full time employees in 1983, since then it has grown to employ 20 full time staff who provide unparalleled expertise and advice across all of our divisions. The group has recruited personnel within the industry who are highly motivated and qualified professionals and tradespeople. Our team are committed to ensuring that the service and product provided is delivered with the utmost diligence and professionalism at all times. The placement of quality assurance procedures within each division ensures that each completed project conforms to all regulations and Australian Standards. This is promoted by our Company Policy that has been developed over many years and is based partly upon providing the highest level of customer satisfaction possible. SmokeShield Australia P/L and AF Electrical constantly strives to source the latest in innovative technologies thus ensuring our equipment is both the latest and at the forefront of Technical advances. Combined with this pro-activity our Internal Research and Development ensures that across all divisions we are able to formulate and adapt equipment to adapt to any client’s specific needs and requirements. 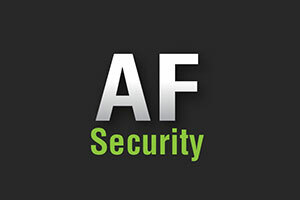 Our evolution as a progressive and innovative group combined with the proven support and expertise of a highly motivated staff is reflected in the percentage of major corporate and Government Departments that rely on SmokeShield Australia and AF Electrical for their Electrical, Security and Fire Training requirements.